Just found this...and this is one I could really succeed at! Count me in! Hi! 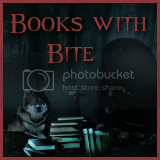 I'm new to your blog but I saw this challenge on Proud Book Nerd's site and knew that this would be a great challenge for me! Hi! I found a link to this on another site. This challenge shouldn't be too difficult for me, as most of the books I read (those that are not e-books) are from the library. I spend most of my days at the library, to the point where the librarians know me by name. I am SO going to do this challenge. I can't wait! I've just started getting books form the library, I definitely want to participate! I made an error. The first Linda (35) did not connect to my post regarding the challenge. The correct link is Linda Frances 36. I've been wanting to rediscover my library. Thanks for the motivation. This is my first challenge. Hopefully I'll do it right. Signed up and I'm gunning for level 4! I was going to go for level 3 but then that is kind of silly since our family checks out a TON of books so I am changing it to level 4! This challenge is perfect for me, since most books I read are from the library. Even most ebooks I plan to read next year can be checked out (downloaded) from the library. Great challenge! I'm signing up. This is one of my favorite challenges because I love the library so much. Thanks so much for hosting! I signed up for 12 but I'm sure many more than that will be in the total. I was wondering if you could create a progress bar for this that we all could grab to track or book count? Thanks! 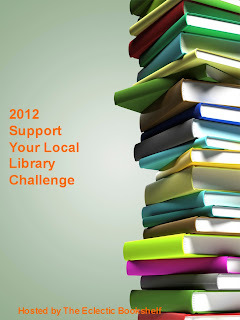 I love this challenge, it's a great way to support libraries in your area. It's my second year doing it and this time I chose level 2. This is my third year participating in this challenge - I love going to the library! Like Kristin, this is also my third year participating in this challenge. Thank you so much for hosting it! I actually love our DIGITAL library. I use it through Library2go. Usually reading on my kindle. Thanks for hosting such a great challenge. I'm going for level 1 hope I can read 12 books. I joined with a Goodreads link. I've already got 14 books on there that I've read this year. I will definitely be able to meet level four since most of my books come from the library and I read around 100 or so a year. Thanks for setting up the challenge! Thanks for developing this challenge! We all need to promote local library more. I signed up for level 1. Thanks for hosting this great challenge. I just have a quick question... do manga/graphic novels count as a book? Huzzah! One I can whole-heartedly support! Many thanks for thinking this one up. I'm going to try level 1. Just found this. Sign me up! Put me down for Level 4! I wish I knew about this at the end of last year. I've already read about 40 books from the library this year. Signed up for level one, but ended up completing level 4, although I stopped updating the list.